By admin | April 11, 2016. Liberties native and Irish musician Imelda May has paid an emotional tribute to her grandparents as she remembered their role in the 1916 Easter Rising. 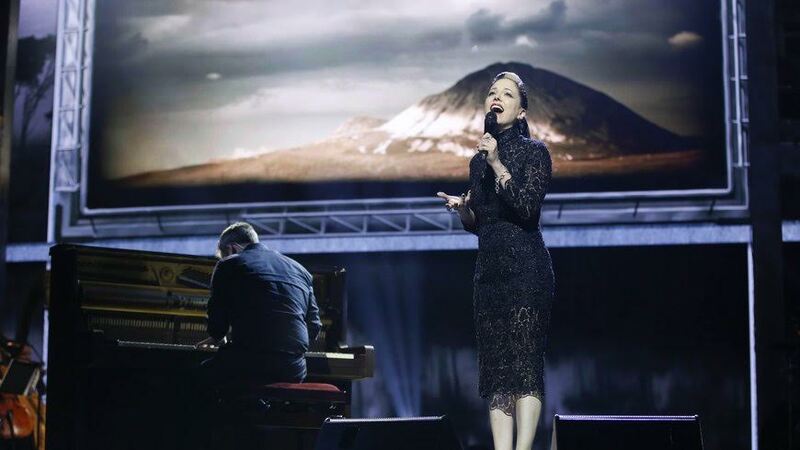 Dublin singer Imelda May took to Facebook to celebrate the role of her grandparents in the Easter Rising, just hours after performing what was dubbed an “outstanding” version of ‘Bein Green’ on RTÉ’s Centenary programme last month. The programme followed a weekend of nation-wide events commemorating the 1916 Easter Rising – an event in which May’s grandparents were both volunteers. “These are my grandparents. Tonight, my Irish heart is bursting with pride. This weekend was very special,” she wrote online, sharing a picture of her grandparents. “Congratulations to all involved; especially those that worked on RTÉ’s ‘Centenary’. It was such a pleasure for me to be to be a part of it,” she continued. She went on to say that her grandparents would be proud of how the nation celebrated the Rising this year. “Congratulations to our President Michael D Higgins too. His heartfelt speeches were moving, honest, inspiring and uplifting. I think my Granny and Grandad, who were both volunteers in the 1916 Rising, would be proud. Here’s to you with gratitude Maisie Morrissey and Joe Comerford!,” she added. Prior to the broadcast of the much praised programme that night, May said it was a “great honour” to be part of the event. “I’m in Dublin and so excited!! It’s a great honour to be singing tonight for the President of Ireland on a filmed live show called ‘Centenary’ commemorating 100 years of Irish history. Wish me luck!!! !,” she posted on Facebook.